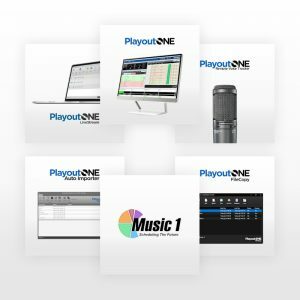 PlayoutONE Radio Automation is simple to use and gives you the power to operate a great sounding radio station or sustaining service, live or automated, from the comfort of your own premises. It has a wealth of features and you can be up and running within 10 minutes. 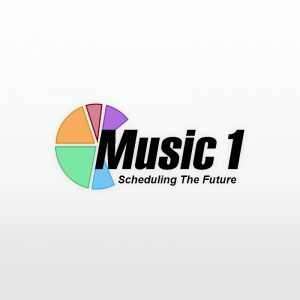 Ideal for Live and Automated operations it offers easy to manipulate playlists and a separate playlist editor to allow playlist creation or the recording of new material, using the voice tracker, away from the main live playlist. Colours can be customized so you can reflect your corporate colours should you so wish and you can include a station logo to replace the standard PlayoutONE logo in the top corner. 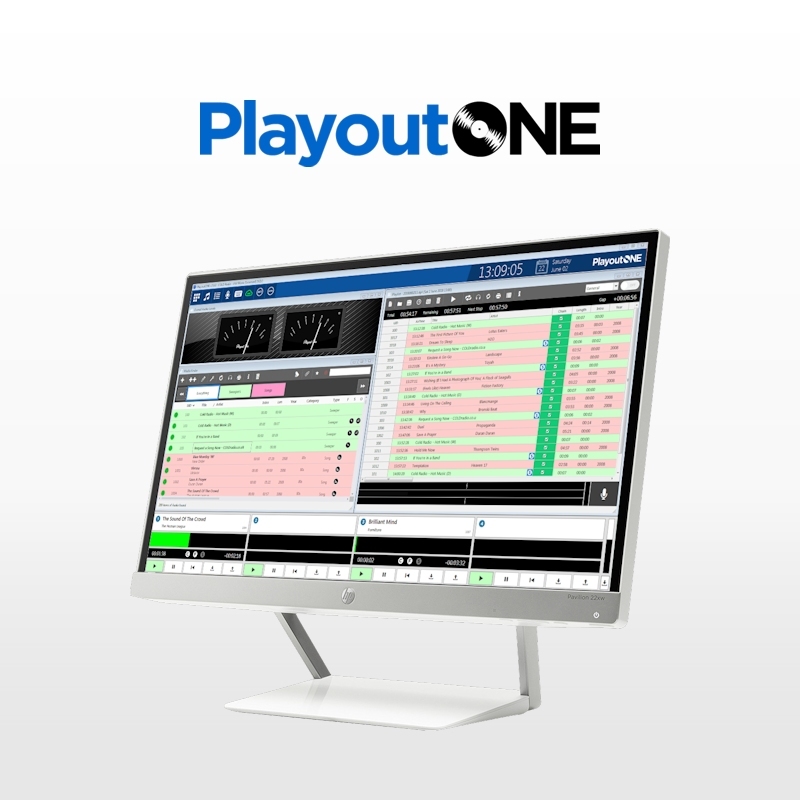 There are no scripts to learn with the power of PlayoutONE‘s AutoDJ with Configurable Artist and Title Rotations. Let the new intelligent Ducking system take care of ramping audio up and down to ride voice tracks and other selected production. 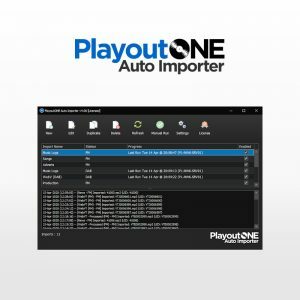 If AutoDJ isn’t powerful enough for your solution then PlayoutONE integrates fully with Music1. Build powerful clocks and perfect rotations. There’s no duplicating data, the two systems just work and talk together straight out of the box. 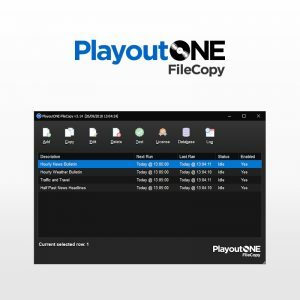 New songs in PlayoutONE instantly appear in Music1. Changes made in Music1 replicate to PlayouONE. View and tighten the segue’s between audio items on your playlists easily and see the waveforms so you can accurately position your transitions. Adding Voicetracks to a pre build playlist couldn’t be easier. Just navigate to where you would like to put the recorded voicetrack, click the record button and hear the end of the previous item in the playlist and the beginning of the next item. 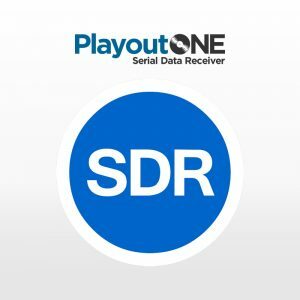 Got a remote DJ that needs to voice track? No problem! 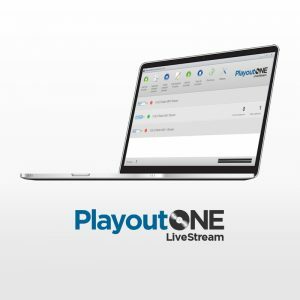 Remote Voice Tracking comes as standard with PlayoutONE. 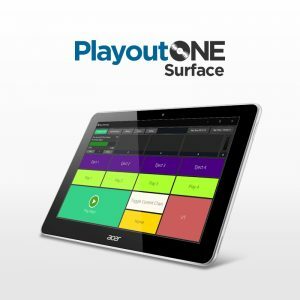 No need for expensive control keyboards anymore with the PlayoutONE Remote Control application which simply installs to a Windows 10 based tablet and connects directly to the PlayoutONE machine that you would like to connect to via your LAN or even WAN. Keyboards come in over £200 but this little app is just £49.99 and with compatible tablets costing around £89 it’s a cost saver and is more beneficial.